Our guide to Orlando will help you find the best budget hotels in Orlando Florida. Orlando has a ton of great theme parks for the entire family from Walt Disney World and Sea World to Universal Studios. Walt Disney World has its own free transportation system, including buses, trams, monorail trains, and boats, which can get you wherever you want to go. If you're staying on Disney property, you can use Disney's transportation system exclusively. In general, allow up to an hour to travel between parks and hotels. There are tons of great budget hotels in the city of Orlando, our city guide will help you find the best budget hotels. You may have a hard time deciding what to do in Orlando, but we make your decision easy. 11000 Westwood Blvd, (407) 313-3600 - Residence Inn Orlando SeaWorld/International Center is a budget hotel / motel / resort located in Orlando FL. 11450 Marbella Palm Ct, (407) 465-0075 - Residence Inn Orlando Lake Buena Vista is a budget hotel / motel / resort located in Orlando FL. 11651 University Blvd, (407) 513-9000 - Residence Inn Orlando East/UCF is a budget hotel / motel / resort located in Orlando FL. 11805 Research Pkwy, (407) 737-6075 - La Quinta Inn & Suites Orlando UCF is a budget hotel / motel / resort located in Orlando FL. 12799 State Rd 535, (407) 239-4441 - Days Inn-Lake Buena Vista is a budget hotel / motel / resort located in Orlando FL. 1853 McCoy Rd, (407) 851-6400 - Holiday Inn Select is a budget hotel / motel / resort located in Orlando FL. 1959 N Alafaya Trl, (407) 992-5000 - Hilton Garden Inn Orlando East/UCF is a budget hotel / motel / resort located in Orlando FL. 2014 W Colonial Dr, (407) 841-8600 - Best Western Orlando West is a budget hotel / motel / resort located in Orlando FL. 3600 W Colonial Dr, (407) 297-1747 - Budget Inn is a budget hotel / motel / resort located in Orlando FL. 3956 W Colonial Dr, (407) 291-1452 - Red Carpet Inn is a budget hotel / motel / resort located in Orlando FL. 5614 Vineland Rd, (407) 581-5600 - Fairfield Inn & Suites Orlando Near Universal Orlando Resort is a budget hotel / motel / resort located in Orlando FL. 5615 Major Blvd, (407) 313-2000 - Suburban Extended Stay Hotel is a budget hotel / motel / resort located in Orlando FL. 5618 Vineland Rd, (407) 226-9119 - Best Western Universal Inn is a budget hotel / motel / resort located in Orlando FL. 5661 Windhover Dr, (407) 226-0900 - Wingate By Wyndham Universal Studios & Convention Center is a budget hotel / motel / resort located in Orlando FL. 5750 Hazeltine National Dr Dr, (407) 826-5258 - Wingate Inn is a budget hotel / motel / resort located in Orlando FL. 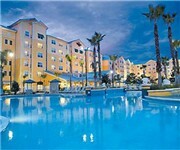 8751 Suiteside Dr, (888) 897-0084 - Staybridge Suites Lake Buena Vista is a budget located in Orlando FL. There are plenty more budget hotels in Orlando. 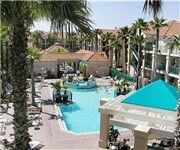 See all budget hotels in Orlando Florida.